Just one month after an online gambling bill was introduced in West Virginia, Mountain State lawmakers have proposed yet another. The new bill (HB 2934) is being spearheaded by Delegate Jason Barrett, with 10 of his fellow colleagues listed as co-sponsors. Among those colleagues is Delegate Shawn Fluharty, who was the author behind the first i-gaming bill (HB 2178) introduced to West Virginia legislators in January. The new measure is known as the West Virginia Lottery Interactive Wagering Act and it calls for the state’s handful of land-based gambling properties to enjoy license eligibility to run i-gaming websites. All five already offer sports betting, as West Virginia was among the first states to put sports betting regulations in place following the repeal of PASPA by the US Supreme Court last May. Regulation and administration of the online gambling sites would be controlled by the West Virginia Lottery Commission. Casino table games and slots are among the gambling offerings that would fall under the allowable framework. The cost of a license to operate i-gaming is currently set at $250,000 and would be good for five years under the proposal. 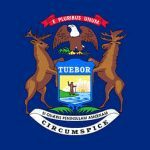 License holders seeking to renew once the initial time frame has expired would be required to pay a $100,000 fee. The tax rate levied against gambling site operators is 10%, payable weekly. Those costs differ from the fees and rates in the online gambling bill volleyed by Delegate Fluharty last month. HB 2178 sought to impose a $50,000 license fee and 14% tax rate. 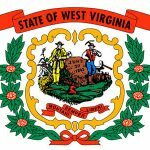 In addition to the operator licenses, those wanting in on West Virginia online gambling would be allowed to apply for award supplier licenses or management service provider licenses. Suppliers would be those entities providing equipment to help facilitate i-gaming activities, while service providers would act more as partners in the online gambling space. The new bill sets license fees for suppliers at $10,000 per year. Service providers would be required to pay $100,000 per year. Also subjected to licensing would be anybody directly employed by the West Virginia online gambling market. The fee for an occupational license is set at $100 annually. The committee with the first crack at considering the new i-gaming bill is the House Judiciary Committee. Delegate Fluharty is listed as the Minority Vice-Chair of that committee. 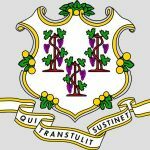 HB 2934 has been introduced at a time when the online poker and gambling industry in the US is in somewhat of a state of flux. Controversy continues to surround a DoJ opinion released last month that found all online gambling to fall under the language of the 1961 Wire Act. That’s a reversal of a 2011 opinion stating that the Act only applied to sports betting. At stake is whether individual states have the right to accept wagers across state lines and to partner with other states for greater participation in lotteries and online poker. The jury is still out on whether last month’s DoJ opinion will stand up in a court of law or even whether it will be implemented at all at the prosecutorial level.